Joining a decent-sized list of restaurants on Monroe Street by Wingra Park, Freiburg Gastropub opened last year and is a good addition. The German-stye pub is dark and cozy even with the big windows at the front of the building. The bar takes up an entire wall, probably to accommodate the large beer menu they have. I went with some friends and, after Googling half of the menu to make sure we knew what our options were, we got a pretzel with house mustard and cheese spread to start. The pretzel had a bit too much salt on top, but after scraping about half of it off it was perfect…dense and rich on the inside and slightly crispy on the outside. The mustard had the perfect level of heat, but the cheese spread was hard to eat with the soft pretzel. I’d prefer the cheese to be dip-able, and this stuff was definitely not dip-able. TIP: You also get pretzel rolls with your meal that are just as amazing, so ordering the pretzel probably isn’t necessary. Since it was Friday, I decided to get the Freiburg fish fry — panko breaded rainbow trout, a potato pancake and coleslaw. I loved that the trout wasn’t heavily breaded…it was just enough to add a good crisp. The potato pancake was good, but was basically just a hash brown, and the coleslaw was good, but nothing special. All-in-all it was a very good meal. My friends got the Schweinshaxen — beer braised pork shank with mashed potatoes and mustard — and Huhn — oven roasted half chicken, sauteed spaetzle, vegetables and riesling butter sauce. The most memorable thing about the Schweinshaxen was the size! It was probably one of the largest pieces of pork I’ve seen on a plate. I tried the spaetzle that came with the Huhn and it was what I was expecting — soft and buttery…like buttered noodles! 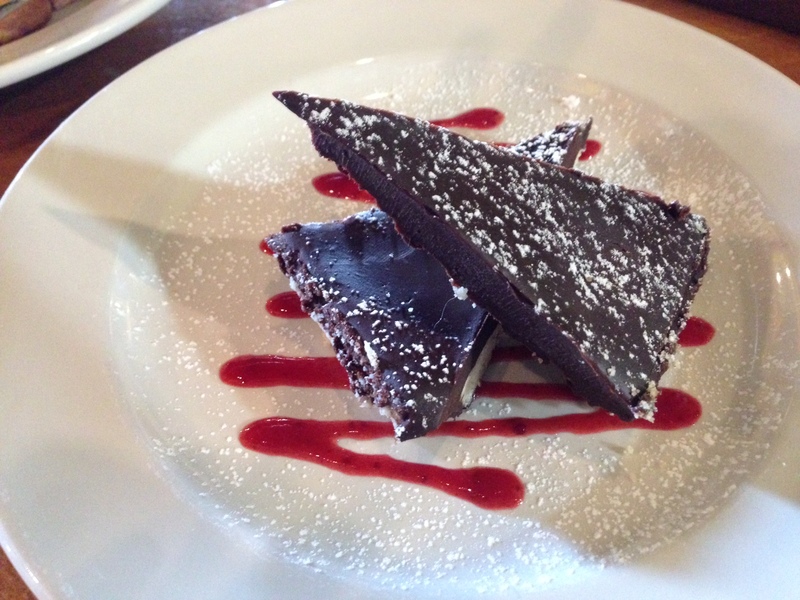 FOOD NOTES: If you’re willing to Google most of the items on the menu, you’ll get a great meal at Freiburg Gastropub. 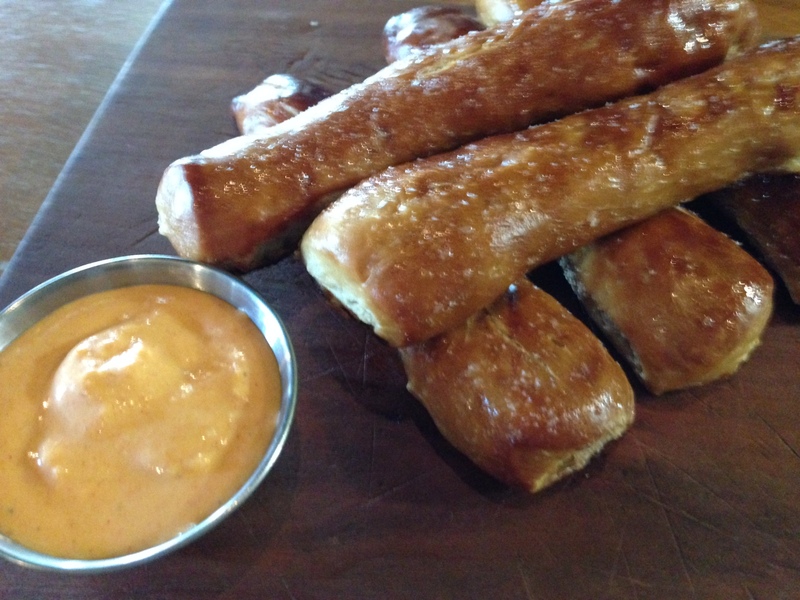 If you’re hungry for a good pretzel, pass on ordering one and wait for the pretzel rolls they’ll bring to your table. If you’re not super hungry, split a dish with someone because they’re huge servings. 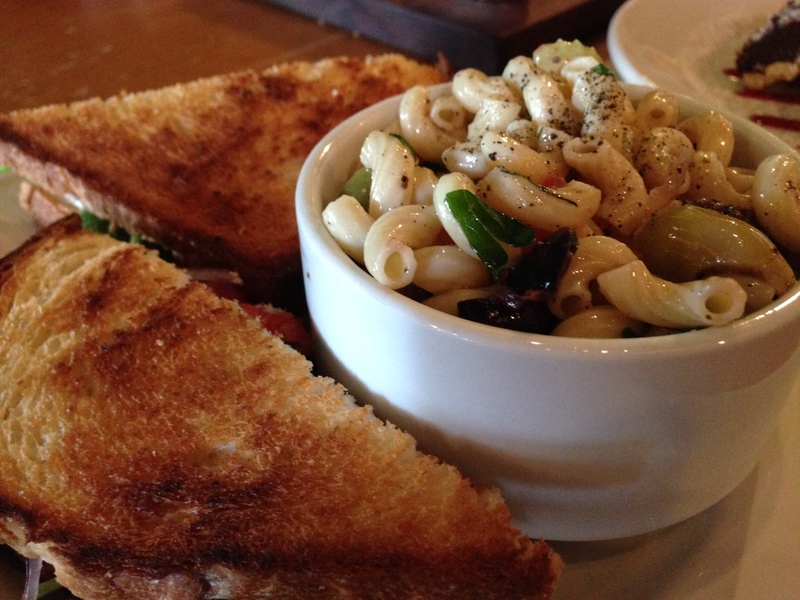 I want to go back and try their Reuben sandwich and the cheesy spaetzle with sausage. They also have a deli-style lunch menu and a brunch menu that both sound very promising. I haven’t had good luck when trying to eat at breweries. The food is usually sub-par and the only reason people keep going back is for the beer. I’m not a beer drinker, so it’s usually not as great of a visit for me as for others. But Karben4 off Stoughton Road by MATC is definitely different than other breweries I’ve been to. Their dining room is literally inches from their brewing and bottling space. And based on my super scientific calculations, their kitchen is about 1/4 the size of their brewing facilities, but it sure does churn out some fantastic dishes. Here’s how I would describe the options on the menu: take normal brewery or bar food — jack the flavor up on steroids, use local ingredients and toss some beer into most dishes for good measure. When I went with Michelle we got to try a couple different options, but we started with the housemade pretzels and cheddar horseradish sauce. The pretzels were perfect — crusty, salty crust, and a fluffy, butter center. The cheese sauce was so good I wanted to lick the container clean. 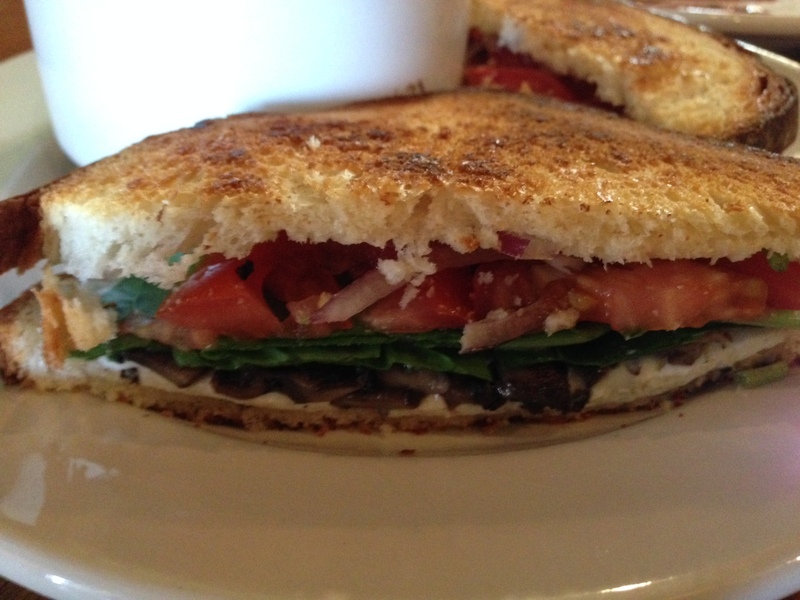 The portabella sandwich is one of the vegetarian options on the menu. It has a balsamic roasted portabella mushroom with mozzarella, basil aioli, spinach, tomato and onion between two pieces of panini-ed bread. The veggie option was good (and I would recommend it to my veggie friends), but I would not choose it over the other sandwich we got to try. 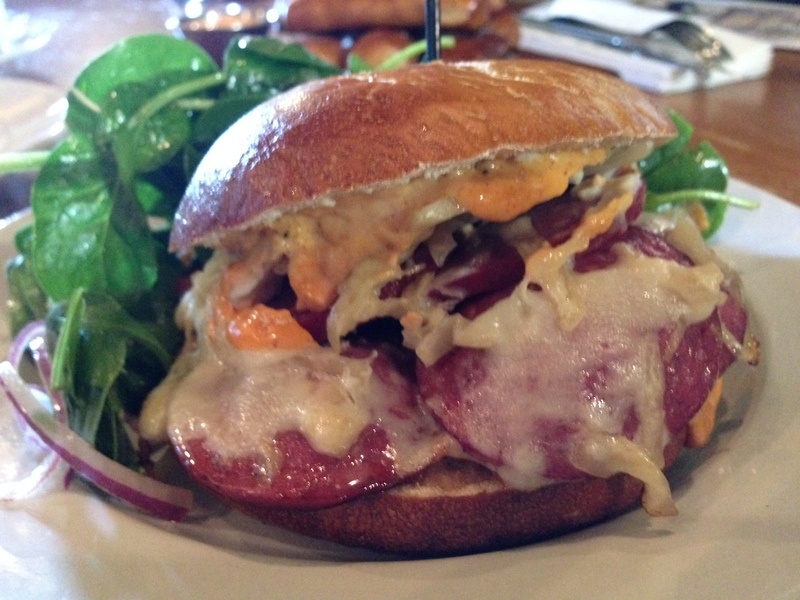 The summer sausage reuben just sounds ridiculous. I’ve never heard of anyone making a reuben with summer sausage, but Karben4 does it and they do it well. 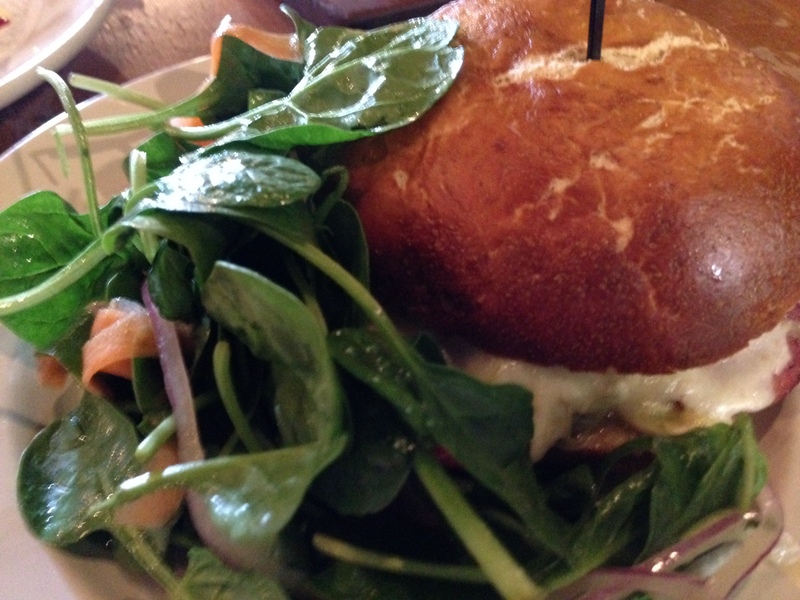 The sandwich comes out on a housemade pretzel roll (come on!! the sandwich is already winning with that) and has summer sausage, kraut made with their Lady Luck beer, housemade Russian dressing and aged whited cheddar cheese. I’m not quite sure how to explain this sandwich except to use these words: sinful, fantastic, decadent, unique, scrumptious and one more — perfect. The pretzel roll was super soft and moist. The kraut had a great earthy flavor without being too tart. The Russian dressing was smooth and tangy. The cheddar added a great Wisconsin feeling to the sandwich and the summer sausage was not nearly as intrusive or heavy as I was expecting it to be. I’m not sure what more I could ask for in the perfect sandwich. We also go to try their chocolate tart made with one of their beers — I ate it so fast I didn’t get a chance to note which beer it was, but I don’t have to know which beer the tart is made with to know that it was tasty. It wasn’t too sweet and the crust was buttery and crumbly. The drizzle of raspberry was basically useless because I couldn’t taste it over the other strong flavors in the dessert. FOOD NOTES: If you’re going to Karben4 for the beer, DO NOT skip ordering food. 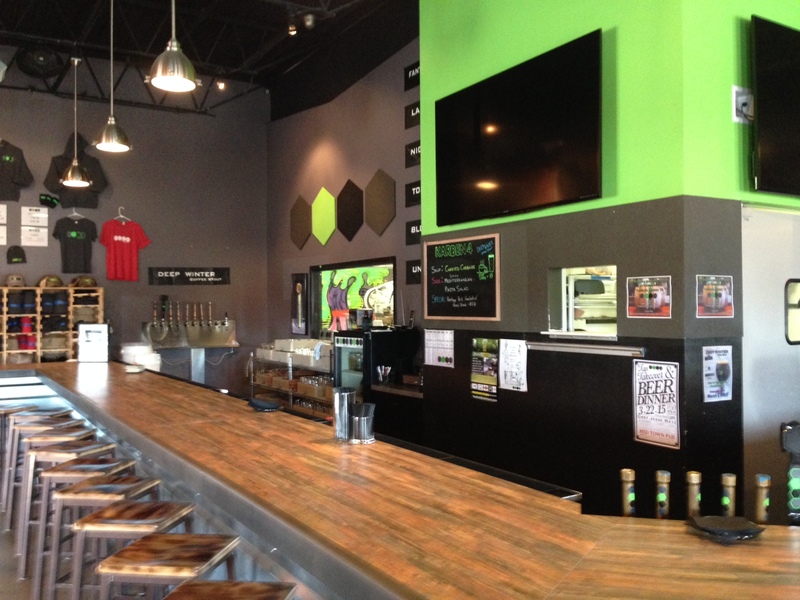 If you’re not a beer drinker…trust me, their menu has enough great things on it to satisfy. Another unique thing about Karven4 is that they don’t serve french fries…all of their sandwiches come with a small side salad, which made me feel better about eating a ruben made with summer sausage!